Established on 28 January 1976, the Société Française d’Ichtyologie grew rapidly both in France and internationally. Despite a change in its status in 1988, its aims have not changed since its beginning. In response to point four of its aims – provide a link between its members by distributing a specific publication – the journal Cybium was created in 1977. The SFI has also published or helped to have published certain publications, some of which have been released as special issues of our journal. 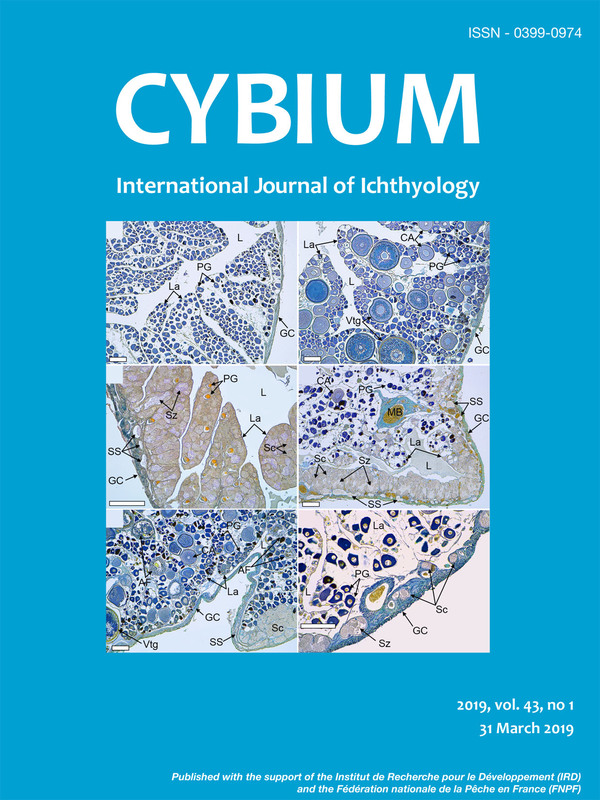 Cybium, the International Journal of Ichthyology, edited by the Société Française d’Ichtyologie, publishes original articles, review articles, summaries of theses, book reviews and information of interest to members of the Society and ichthyologists in general. Subjects covered include ichthyology in general, both basic and applied, and covers freshwater, marine and fossil fishes. Is hogfish Lachnolaimus maximus (Labridae) a diandric species?